Dunhuang is one of the most beautiful cities to tour in China with its rich historical background. With its fascinating thousand year old relics and once being a city of the Silk Road Dunhuang is a city of mystery. More importantly the city has numerous sights that are enlisted under UNESCO’s Cultural Heritage sites. There are many ethnic customs and unique natural wonders you will not find anywhere else in the world! 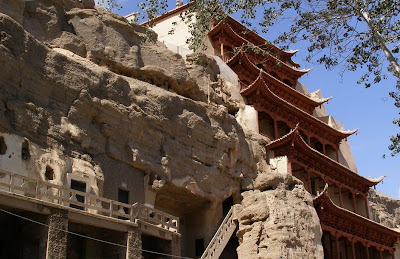 Mogao Grottoes, also named “Thousands Buddha Caves”, is regarded as the most valuable discovery in 20th century. It is known as the “Louvre of East”, which is outstanding for its exquisite mural paintings and statues. There are now 492 grottoes in which about 45000 square meters mural paintings and 2100 colorfully painted statues have been preserved very well. The history of Mogao Grottoes can be traced back to the “Five Hu-16 Kingdoms” period (CD304-439). Mogao Grottoes was constructed by the Prior Qin, and the subsequent dynasties rebuilt and enlarged the scope year by year. In the splendid caves, you will learn much about the evolution of China’s history. 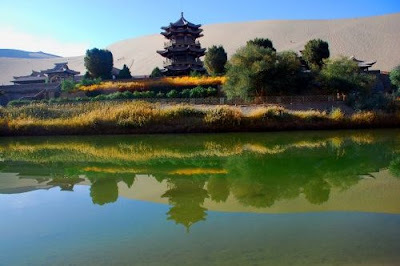 Crescent Lake is located 5 kilometers southwest of Dunhuang and is famous as one of the “Eight Scenes of Dunhuang”. It is also known as the “first lake in the desert”. Surrounded by sand mountains, the Crescent Lake has a beautiful oasis with traditional Chinese architecture. Over recent years there have been growing concerns about the preservation of the lake. The main worries over the lake are due to the shrinking of the lake over the years. However, measures have been taken to preserve the lake and after all it is a listed UNESCO heritage sight therefore the government has created a man-made lake to balance out the Crescent Lake and in recent reports it has been said that the lake has continued to grow over the past couple of years. Yangguan was built during the Han Dynasty and served as an important pass to the ancient Silk Road. The advantageous geographic location had always been a town of great military importance as a natural defense for ancient China.It is the gateway to the West Region, as well as the door to the South Silk Road. 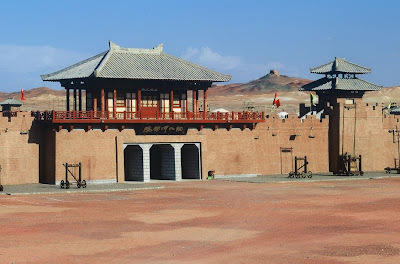 There is a Yangguan Museum where you can learn about its history, and experience the exact process of checking out customs in the ancient time. Yumen Pass, also called the Jade Gate Pass, is located some 90 kilometers northwest of Dunhuang City, Gansu Province. 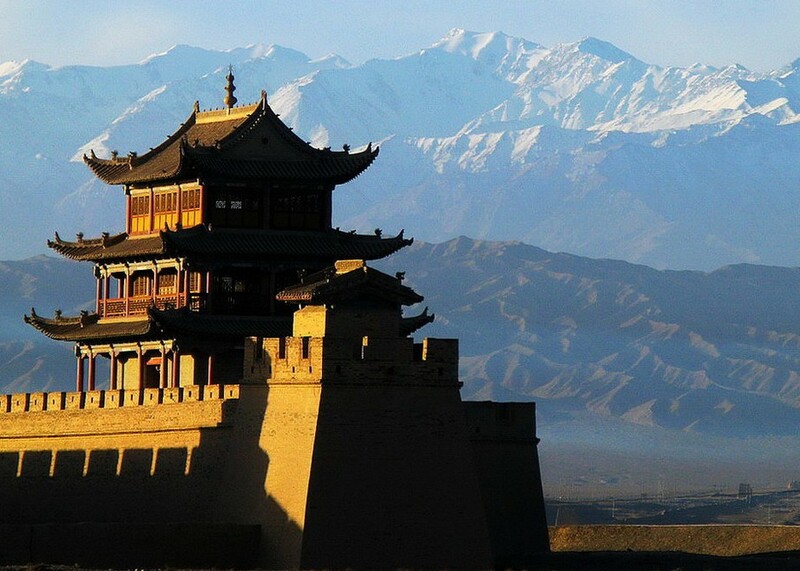 Together with Yangguan Pass, it is the main pass by which ancient China was connected to the Silk Road. It was established twice separately in the Han and Tang Dynasties. The current Yumen Pass is the remains of the one built in the Tang Dynasty. Yumen Pass witnessed the economic and cultural exchanges between China and the west: Chinese silks were transported continuously to the west while music, religion, grapes, pomegranates, walnuts, and clovers among other things were introduced to China from the west. At present, the Yumen Pass site consists of a small square castle, occupying an area of around 600 square meters and measuring 24.5 meters long from east to west, 17 meters wide from north to south, and 6.7 meters at it’s highest. 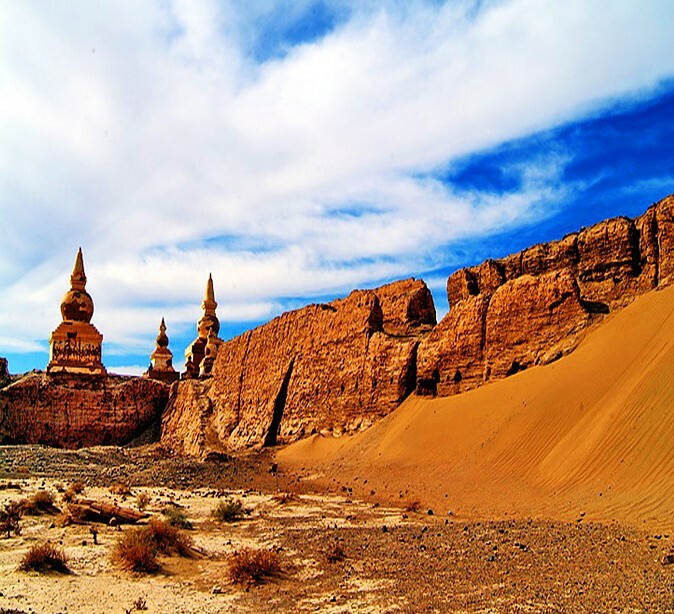 Situated 180 kilometers in the northwest away from Dunhuang, the Dunhuang Yadan National Geologic Park is the largest one of Yadan Landform found so far. The park stretches twenty-five kilometers from north to south and about two kilometers from east to west. 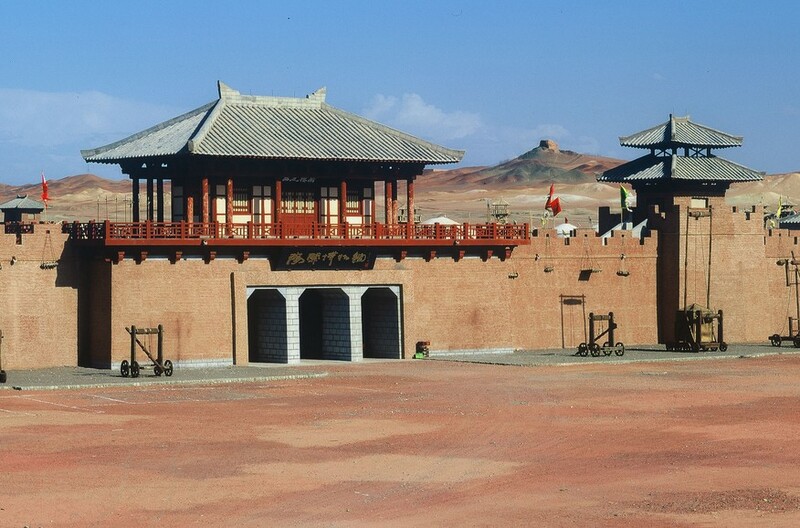 It features the unique and wonderful scenes and landscapes of the gobi desert. The grand outlooks of the Yadan landforms were accumulated by the clay after floods in addition to rains and storms for long time and here once were the lower reaches of Shulehe River in the ancient times. It will be possible that after a number of years the landforms slowly disappear.